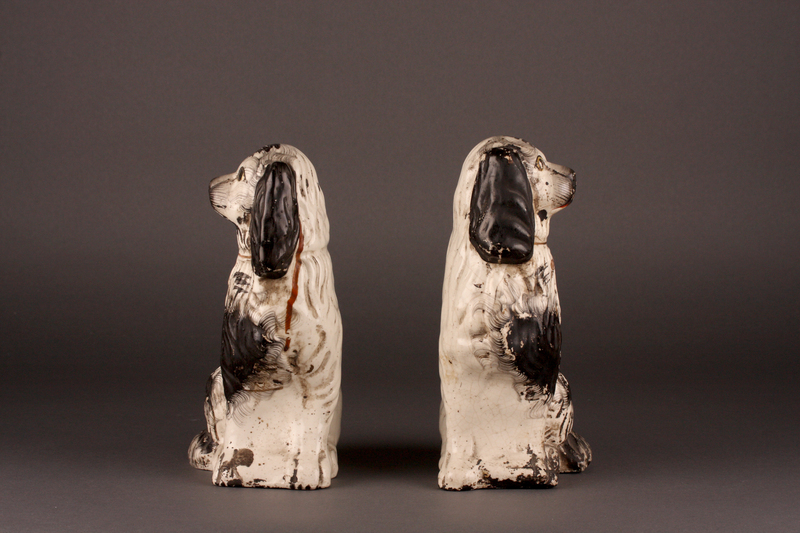 A pair of earthenware Staffordshire dog figurines, most likely late 19th Century in date*, although manufacturing began as early as the 1720s. 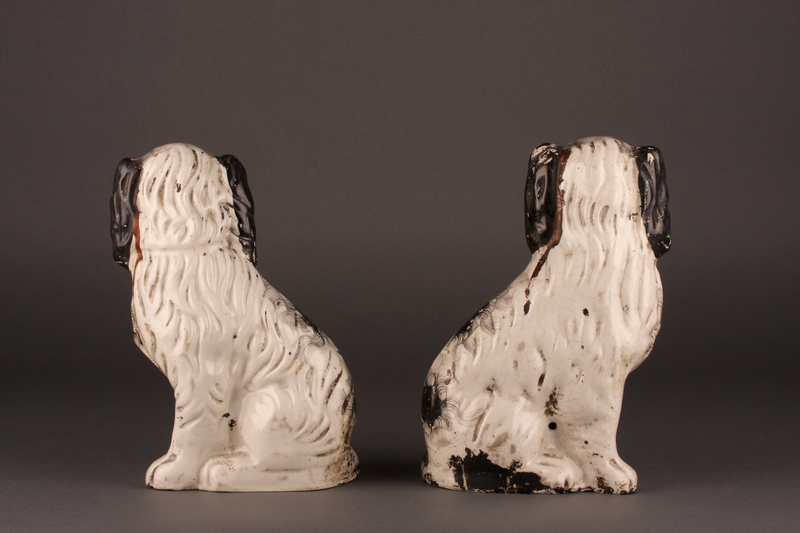 These ornaments were primarily made in the West Midlands of England but also in Scotland where they were known as ‘Wally dugs’. 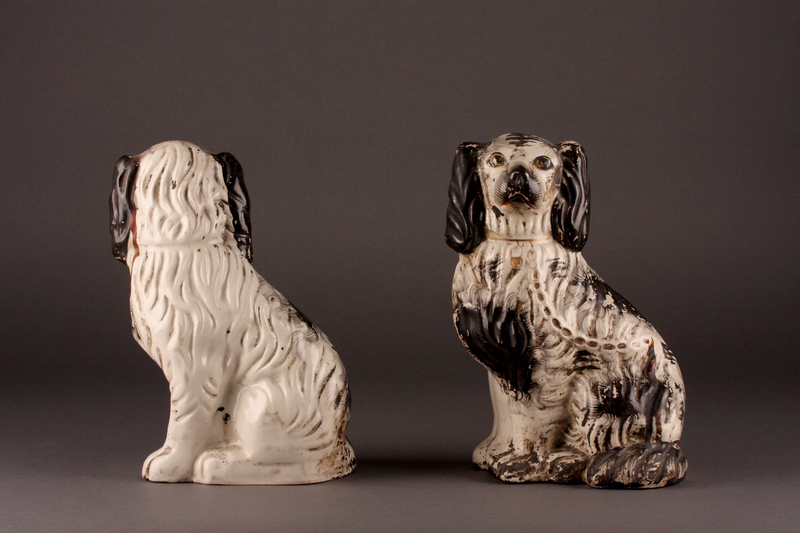 Although other breeds of dog were modelled, the King Charles Spaniel was the most common as it was favoured by Royalty. 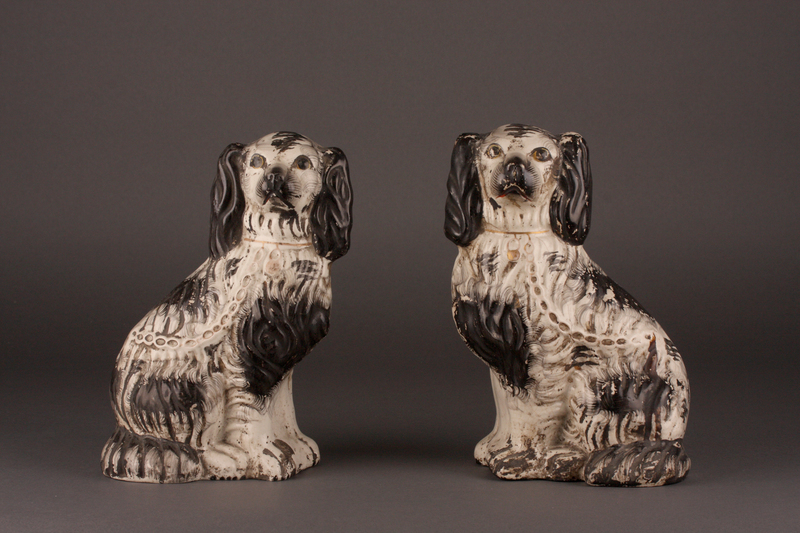 Queen Victoria had a KCS called Dash so this increased the popularity of the figurines from 1840 onwards. Dash and the pair from The Forge were black and white but the most common colour palette seems to have been light brown and white. Both figurines are in the standard seated position as if on guard but orientated differently so they make an opposing pair. 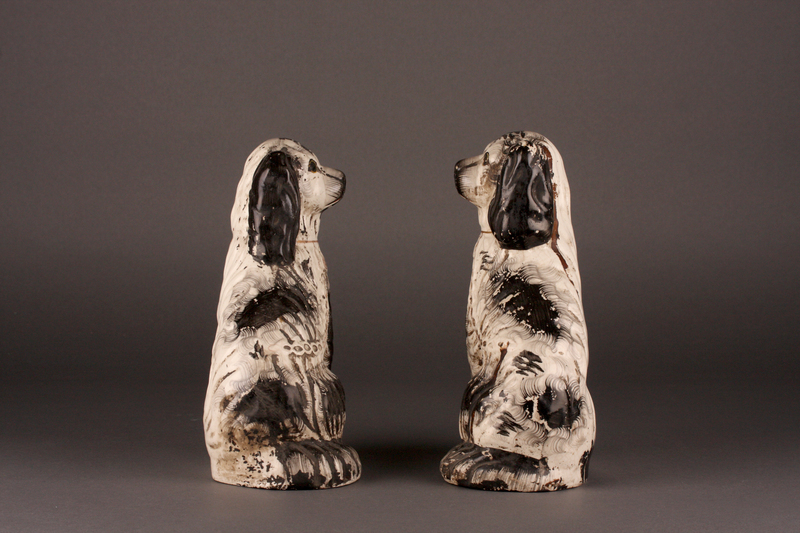 The dogs appear identical in every other way, however once they are moved closer together slight differences in height, width, depth and detail become apparent. This may be intentional as if to indicate a male and female. They would typically be placed on a mantelpiece as was the case in The Forge, but they were reputedly placed on a window sills by some Victorian ladies, back to back to signal to her lover that the husband was home or facing each other to signal that he was at sea. Both figurines feature the customary collar, chain and locket. These were apparently painted gold by children as young as seven years old in the 1800s for two shillings per week. *I will be visiting an auctioneer next week to find out more, but I will not be selling them.